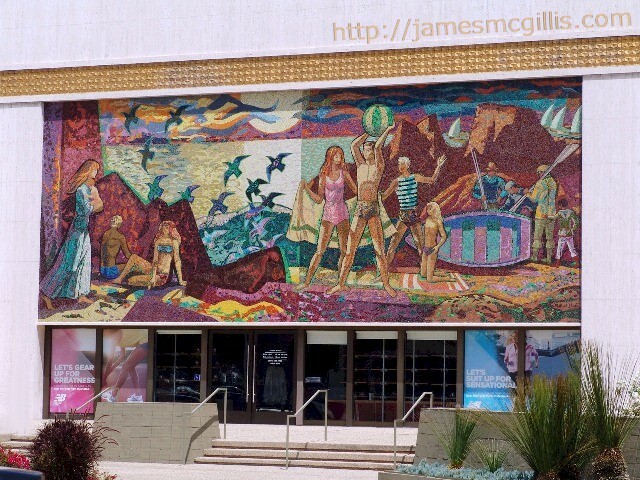 According to an obituary in the February 21, 2008 edition of the Los Angeles Times, the famed muralist Denis O’Connor died on December 26, 2007, although his family did not announce his death until last week. By clicking on the word obituary, here or above, you can read the interesting story of his life and art. For anyone living in Los Angeles in the 1960s or 1970s, Denis’s public art was the visible mainstay of the often-ornate Home Savings & Loan buildings constructed at that time. Although Home Savings sold out to Washington Mutual (WAMU) in 1998, during the heyday of the 1960’s, H.F. Ahmanson & Co., then headed by Howard F. Ahmanson, Sr. (1906-1968) was Home Saving’s owner. Ahmanson made his fortune during the Great Depression selling fire insurance for property under foreclosure and in the post-war home construction and real estate boom around Los Angeles. The Home Savings branches built during that time featured gold leaf trim and Italian marble fascia, supplied by Ahmanson’s own marble quarry. Eat your heart out Getty Trust. With his recent death, there is new interest in the nearly eighty murals that O’Connor created for the company. 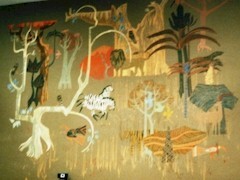 As time passed, and the company changed hands, several of the murals disappeared during renovation or the destruction of old Home Savings buildings. 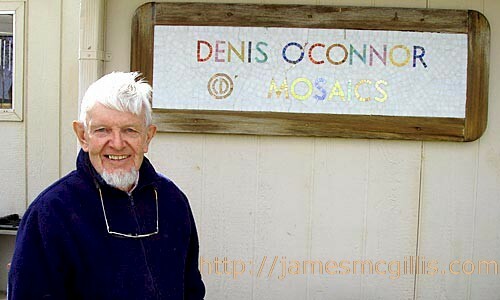 Since only in death does an artist receive full appreciation for his or her work, it behooves us all to find, catalog and preserve the amazing public legacy that Denis O’Connor left to us. I hereby challenge WAMU (JP Morgan Chace) to step away from their idiotic television and print ad campaigns in favor of discovering, preserving and promoting their own under-appreciated public art collection. 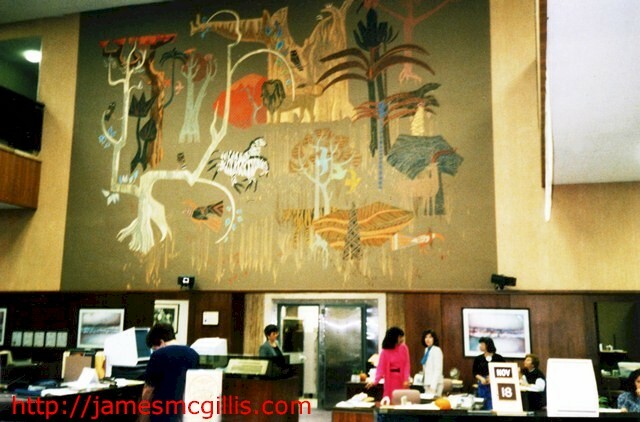 I will start the ball rolling by telling everyone that one of Denis O’Connor’s best works lies intact, but long hidden behind a false wall in the main room of Chase Bank's Burbank, California branch, located at the corner of Burbank Blvd. and San Fernando Road. Let’s get serious about the JPMorgan Art Collection.